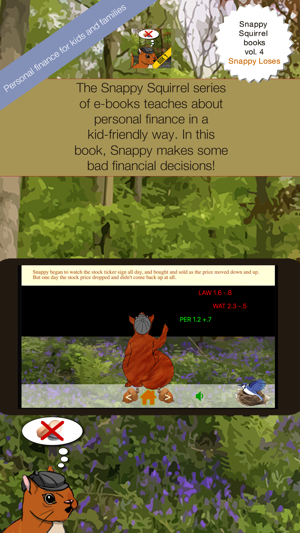 In Book 4, The Snappy Squirrel series of e-books continues as Snappy learns about a fun 'game' - day trading. 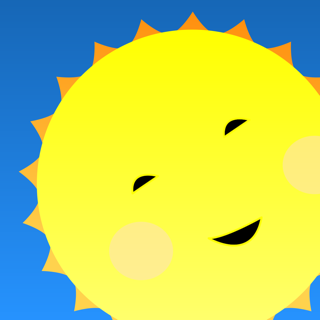 By watching stock prices rise and fall all day long at Owl's bank's new stock ticket, Snappy hopes to make a quick profit by buying when a stock price falls and selling when it rises. Unfortunately, this "get-rich-quick" scheme backfires when Snappy loses money and has to pay Owl a commission on each sale! -Click the blue jay in the pleasant midsummer scene as you read, and be inspired to embark on stimulating discussions about your own family's financial choices. -Each Snappy book includes a fun game - this volume includes an exciting "endless runner" game with an outdoors, forest theme - help Snappy gather nuts as he runs through the forest, but watch out for the vines!. 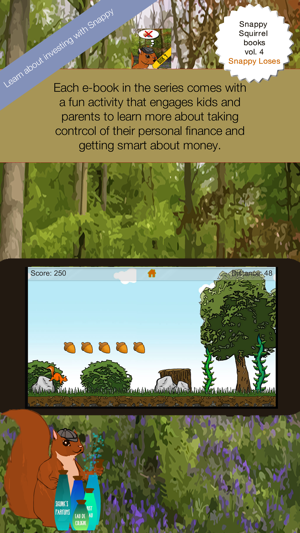 Kids and families can learn about the perils of get-rich-quick schemes side-by-side along with Snappy Squirrel.